SUDBURY, Ont. 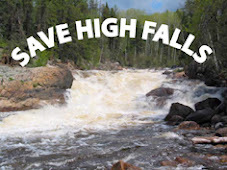 -- Environmentalists, recreational users and tourism operators have formed a coalition to protect the health of Ontario river systems. "We are hearing concerns from across Ontario that the provincial government's Green Energy Act could actually damage our ecosystems," says Linda Heron, interim chairperson for the Ontario Rivers Alliance. "Like most people in this province, our members thought green energy would involve projects that would produce power without causing environmental harm. But our research indicates that the government needs help in assessing what damage might be caused to our watersheds by energy producers whose prime motivation seems to be profit." Heron said that lack of shared information about the impacts of proposed hydro-electric dam projects was a common thread in concerns expressed by participants in the inaugural ORA meeting. Heron, a member of the Vermilion River Stewardship -- one of 13 river systems represented to date by alliance members – said the meeting attracted attendees from the Muskokas in the south to as far north as Timmins. "We heard from marina owners, engineers, paddlers and First Nations citizens—all of whom came together in a common cause: to speak up for healthy rivers," she said. "We feel we can play a key role in raising public awareness about the importance of our most precious natural resource – our water." The Ontario Rivers Alliance is expanding its network and canvassing prospective members in advance of a meeting scheduled for April 2nd in North Bay. Posted by Markus at 5:05 p.m.
Robin Tunnicliffe Feb. 28, 2011, 12:54:00 a.m.
Great to see this alliance standing up against the Green Energy Act. I hope that there is good attendance for your April meeting. Please keep posting. Markus Feb. 28, 2011, 7:59:00 p.m. Anonymous Mar. 7, 2011, 6:23:00 p.m.
Great to see such support for the Alliance. I'm currently studying for an MSc in environmental policy and it is these types of actions and partnerships that make me want to do what I do. I look forward to seeing how the April meeting goes. stephen aidoo Dec. 8, 2012, 4:40:00 p.m.
Company Registration Delhi Jan. 6, 2015, 2:55:00 a.m.